A flock of alumni of NBC's "The West Wing" will return to reprise their roles one last time for the White House drama's final episodes, the network announced Tuesday. Rob Lowe will come back as Sam Seaborn, the senior political official he played from 1999-2003. Lowe was nominated for an Emmy for his performance in 2001. Mary-Louise Parker, who now stars on Showtime's "Weeds," will return as women's-rights advocate Amy Gardner, who in years past has had an on-again-off-again romance with presidential adviser Josh Lyman (Bradley Whitford). Also bringing back their characters: Anna Deavere Smith, Emily Proctor, Marlee Matlin, Gary Cole, Tim Matheson, Timothy Busfield and Annabeth Gish. 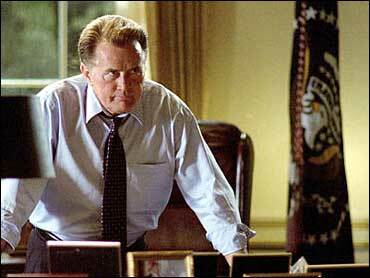 "West Wing," starring Martin Sheen as President Jeb Bartlet, has five episodes remaining before going off the air for good after seven seasons. The program airs Sundays (8 p.m. EST). This year's story line has featured a presidential race between candidates played by Alan Alda and Jimmy Smits. NBC promises that the election will be decided before the series disappears. The show's alumni will appear on one or more of the final episodes, but not necessarily the finale, which will air May 14. Aaron Sorkin, who created the show in 1999 and served as executive producer until 2003, will not be returning to aid in the finale, NBC said.